Buy Windows 7 in Europe â€¦ at Half the US Price! In February 2009, the European Commission investigated Microsoft for anti-competive practices because Internet Explorer was bundled with Windows. In March, Microsoft revealed that IE could be uninstalled from Windows. 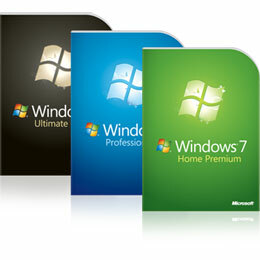 In June, Microsoft announced there would be a special “E” edition of Windows 7 released in Europe. IE would not be provided and it would not be possible to upgrade from XP or Vista. In July, Microsoft allowed people to pre-order Windows 7 E at a 50% discount. The OS has received positive press, which resulted in all pre-order copies selling out on day one. The EU slammed Windows 7 E; they considered that offering no browser was not an alternative to offering a choice. Microsoft relented, Windows 7 E was abandoned, IE would be installed, but European users would be offered a ballot screen to choose their default browser. On the Amazon US site, Windows 7 Home Upgrade is priced at $120. The full version of Windows 7 Home is priced at $200. The Amazon UK site is selling the FULL version of Windows 7 Home for just £65 (a little over $106)! Yes, you read that correctly. The UK price of Windows 7 is significantly less than the US price! EU residents can also choose their default browser, whereas US users must install one manually!